Stinky Santa now out in paperback! With Surprise Grotty Gift! Ta dah! Otto Fishblanket here. 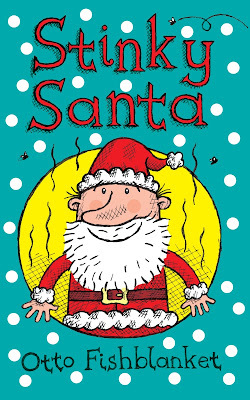 My famous ebook Stinky Santa is now available as a paperback for you to keep and treasure! It has a brand new cover and now includes a Surprise Grotty Gift! Have a look on amazon.com, and read the stunning reviews here!